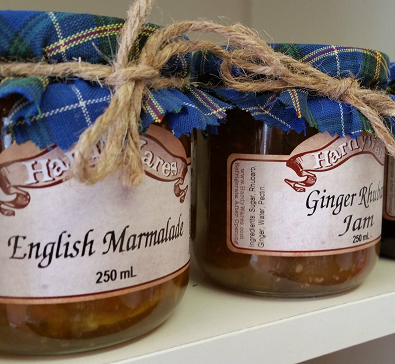 HardyWares Preserves | Halifax Seaport Farmers' Market Ltd.
We are a husband and wife team, who fell in love with an abandoned house on the Eastern Shore. After renovating with the purpose of a weekend getaway, we soon realized that this is where we wanted to live permanently. We started our business as a hobby and tested it out at a weekly market. We slowly expanded into bigger events and festivals until we felt comfortable leaving our jobs and moving to the country to focus on this endeavor full time. We now have a commercial kitchen in our home but we continue to cook in small batches; making just eight jars of jam/jelly at a time, using local produce, for the majority of our flavours. We use traditional recipes with one goal in mind: to capture that nostalgic taste from days of yore.om days of yore.